Are you looking for latest teaching jobs in 2016? 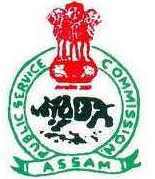 Assam Public Service Commission is inviting for the post of post- graduate and assistant librarian in 2016. To get further details read out the Assam Public Service Commission post- graduate and assistant librarian recruitment 2016 notification. Age Limit : Candidates must be aged 38 Years as on 2016 for the both posts. How to apply : Eligible and interested candidates have to apply through offline- with proper application format which has provided in the official web site. 0 comments for " Assam PSC PG Teachers and Asst. Librarian Recruitment 2016 "